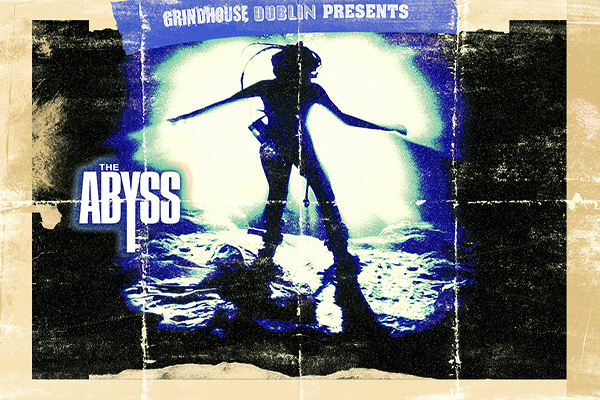 Grindhouse Dublin newsletter will launch soon! Here's another exciting way to keep up to date with Grindhouse Dublin events, the Grindhouse Dublin Newsletter! The mailchimp newsletter will post up all the latest updates as seen here on our Facebook Page, but we will also provide exclusive snippets of news, make our first announcements of future competitions, and give a hint as to our next screening, as well as much more! 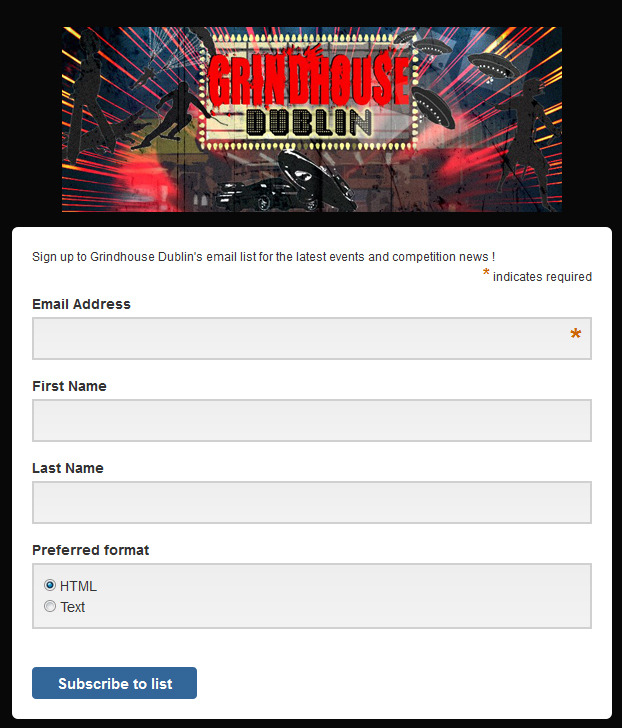 Click below to sign up for the Grindhouse Dublin Newsletter!